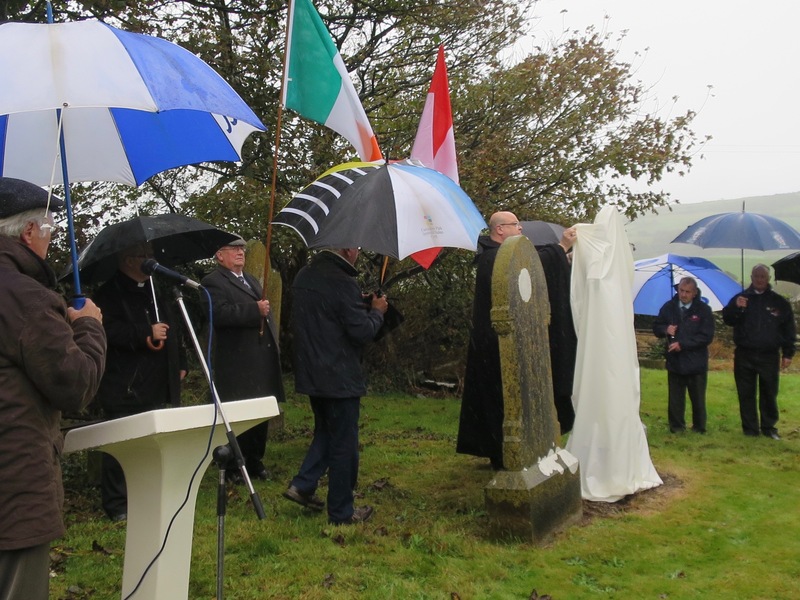 In a very wet day on Saturday 13th October, on a hillside near Courtmacsherry, County Cork, the Bishop of Cork, Dr Paul Colton, unveiled a memorial to Henrietta and Ida Howell, two sisters who lived at Ballycullinane in that parish, and who perished in the sinking of the RMS Leinster when it was hit by two torpedoes on 10th October 1918. The two sisters, with family connections to the Church fo Ireland in County Cork, were born in the mid Nineteenth Century, and had settled in Courtmacsherry following a life story that spanned three continents and four countries. 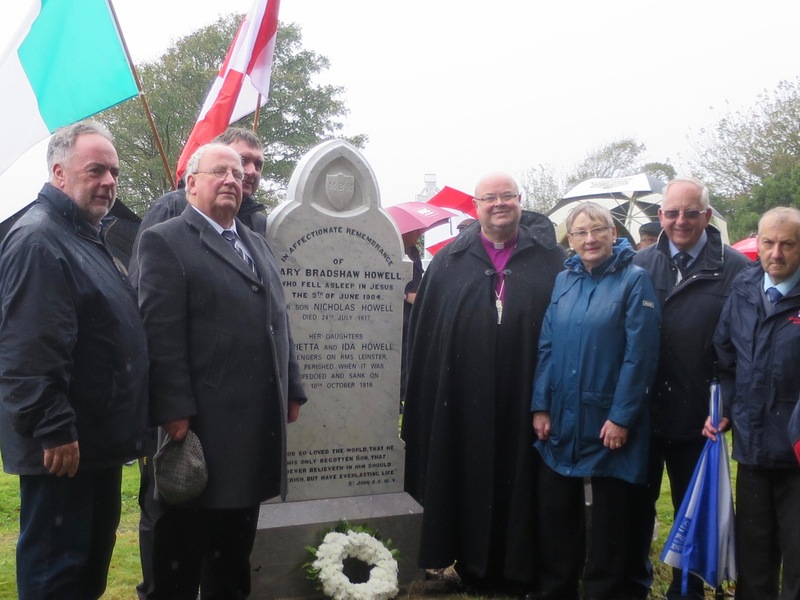 Their full story is told by Mary Holly-O’Leary of the Courtmacsherry and Barryroe District Historical Group that invited Bishop Colton to perform the honours on Saturday. Originally it had been planned to create a new memorial plaque and to place it in the ruins of Lislee Parish Church where the Howell sisters worshipped, however, new information came to light following research and contact with a descendant of the sisters now living in Australia. Their mother’s grave was identified in the adjoining churchyard. It was decided to add the memorial inscription to that headstone. 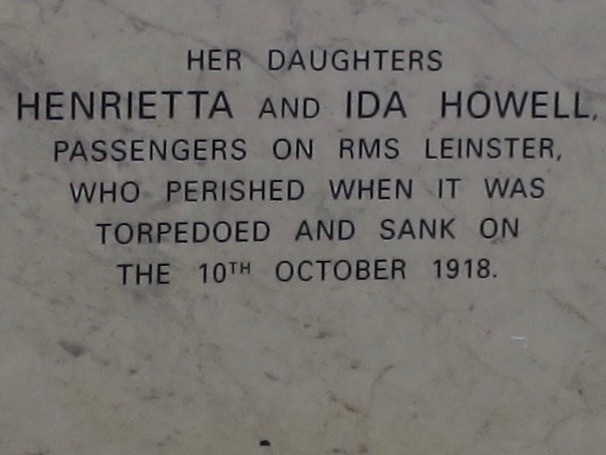 Ida’s body was never found, and Henrietta’s is buried in an unmarked grave in Dublin. In this Decade of Centenaries, and in the coming years in particular, especially here in County Cork, local history societies such as this one [Courtmacsherry and Barryroe District Historical Society] play a crucial part in enabling and facilitating conversations about our ‘contested histories’. Local parishioner, Harold Kingston, read the poem by David Krieger Today is not a good day for war and, before refreshments, the choir concluded with Dona nobis pacem – ‘grant us peace’. The Bishop of Cork, Dr Paul Colton, with the officers of the Courtmacsherry and Barryroe District History Group. 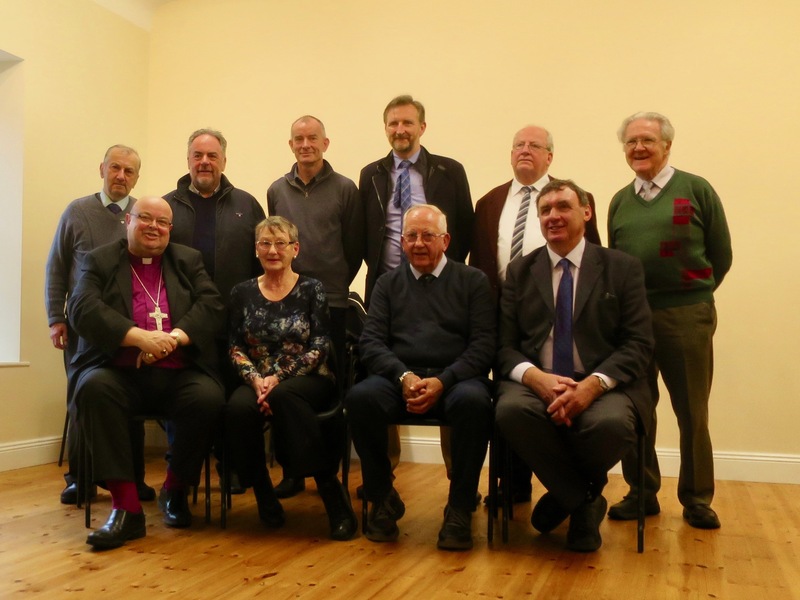 This entry was posted in Centenaries in Ireland, Centenary, Churchyard, Community Involvement, Contemporary Issues, Decade of Centenaries, History, Local History, People from the Diocese. Bookmark the permalink.